I have to warn you…this is going to be a strange post. Let’s start with the important part so when I lose you, and I will lose you, you will have already gotten what you came for—this earth shattering, stop-the-world-from-spinning orange curd tart with a layer of bittersweet chocolate tucked underneath and a light and flaky crust to drive it home. Yeah, it is summer perfection; tart and cool when served with a little crunch of that chocolaty goodness. 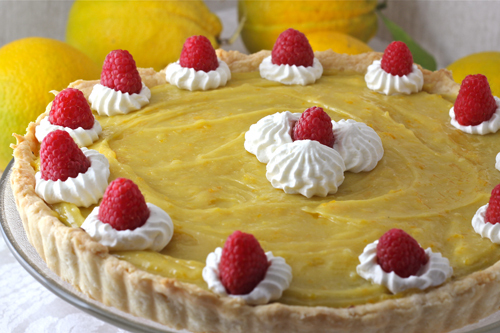 Categories: Fruit Desserts, Pie | Tags: orange curd, orange curd tart with chocolate, summer desserts | Permalink.